Tnx po sa iphone 3g black nyo. More power! 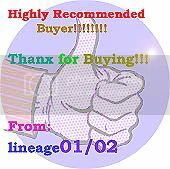 Highly recommended seller. Tnx sa mrs nyo buti nandyan cya pra ma2loy ang deal ntin. Again tnx! Tnx Mam, for the Iphone...Nice Item!!! thx mam and sir. for our transactions. very true with their words. i recommend them to all!! thx po sa inyo. till our next deal. Mam. .. Thx for the LG cOokie .. very smoth ung transaction nmin ..pxenxa na mejo n late ako ha hehehe.. sorry din kc akala ko boi ka girl ka pla .. sir 2loi ako ng sir hahaha ..!!! i recommend this seller ok ka deal .. They were very patient with me and knows how to compromise. Pasensya na ulit if it wasn't the smoothest deal. Thanks uli sa item! tnx ma'am.. i love my new galaxy phone came from you.. nice deal..
She's on time, patient and considerate. Had a great deal with her on the bb 9780! highly recommend po ito..Salamat s Iphone 3gs... more power..